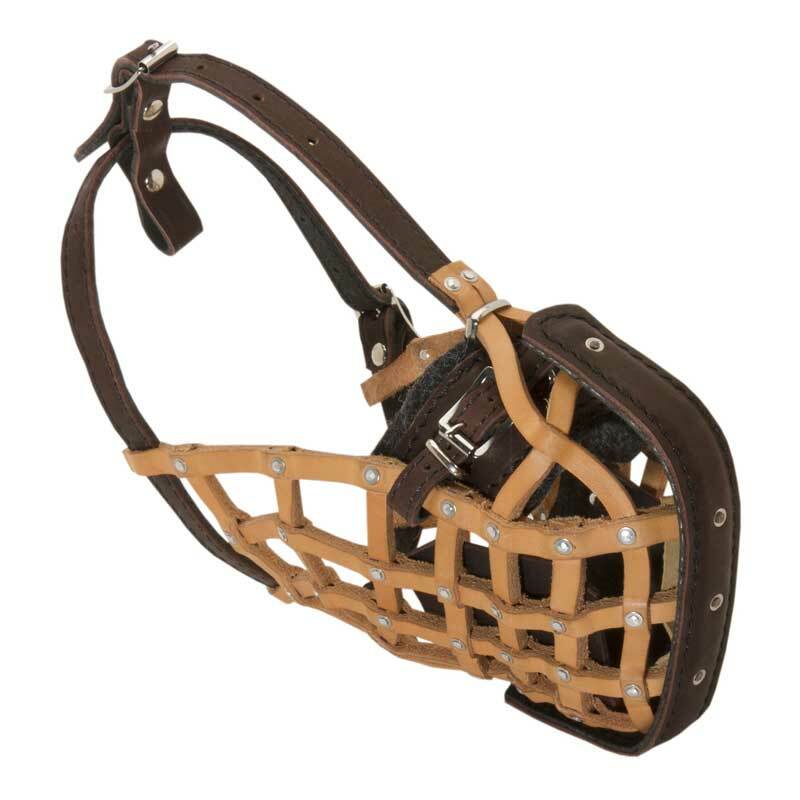 This Dog Muzzle is made of 100% full grain natural leather that is strong, durable and pleasant to touch. Be sure air passes freely through the holes, so there is no problems with breathing and panting. This dog supply sits properly on your dog’s snout thanks to felt padding on the nose and on both side parts. 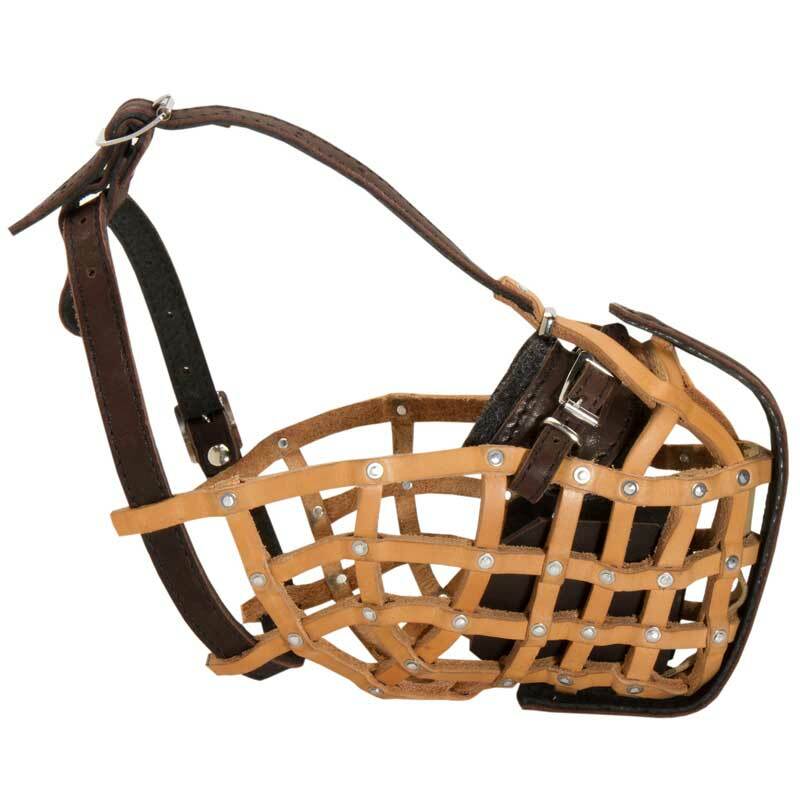 This Dog Muzzle is adjustable in 4 ways. 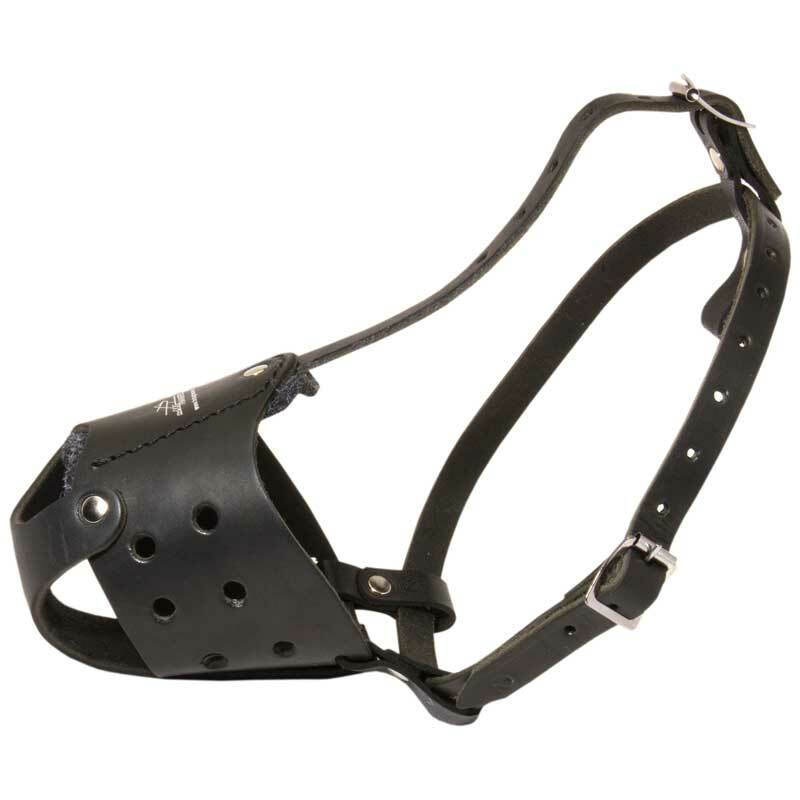 Straps are fastened with the help of buckles, it is very convenient for any dog owner. This dog item has been designed specially for training of police and other service dogs. But it can be also used for visiting a vet, basic training, patrolling, travelling, socializing, everyday walking, etc. 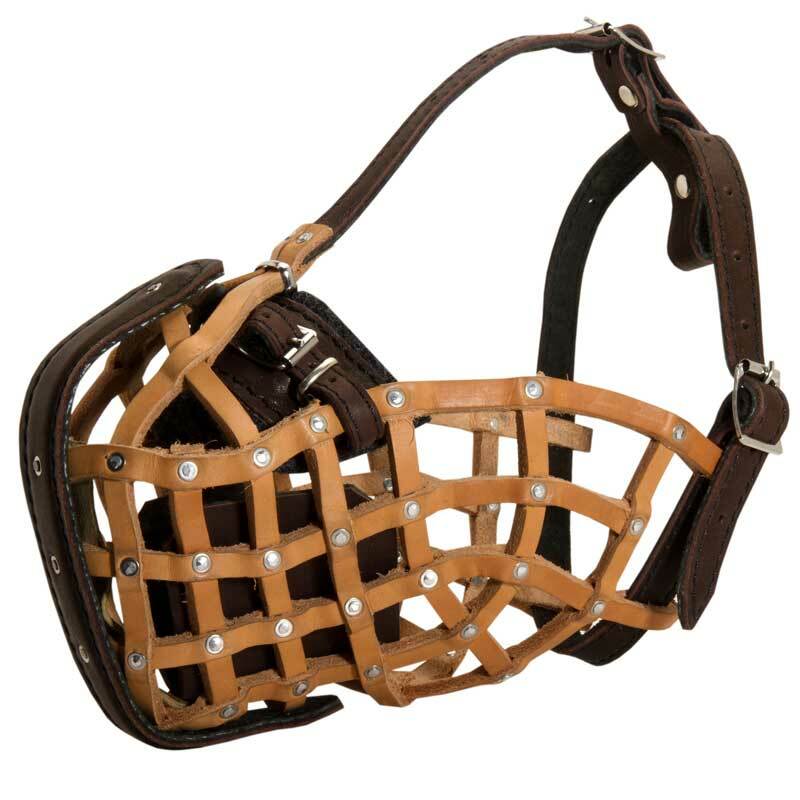 Be sure your Rottweiler will feel no discomfort while wearing this Dog Muzzle.